Average prices for 128GB SSDs hit a milestone in the second quarter of the year, falling to $50 for PC makers. Consumers are seeing lower prices, too. Jim Handy, principal analyst at Objective Analysis, attributed the lower prices to continued downward pressure on NAND flash memory, which accounts for 80% of the cost of an SSD drive. Flash prices have fallen by about 25% since June 2014, he said. Increased SSD adoption in laptops and other computer hardware, which spurs more production and economies of scale. 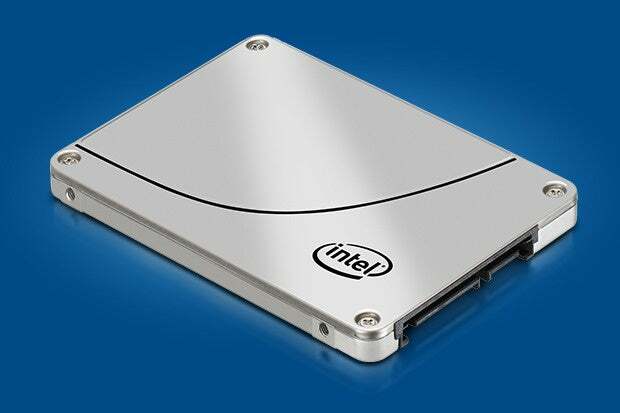 SSDs are expected to account for 30% of the drives in laptops this year and 50% by 2017. On top of that, controller prices for the drives are falling, too, at a level that resembles Moore's Law, Handy said. The move in recent years from flash that stores two bits per transistor to flash that stores three bits. As the density for NAND flash memory rises, SSDs at the same capacity cost less to make. Handy estimated that the conversion from two-bit, multi-level cell (MLC) flash to triple-level cell (TLC) flash has reduced costs about 20% over the past year. The production of NAND flash has been migrating to 15- and 16-nanometer manufacturing processes (from 19-plus nanometer transistors in earlier generations). Again, that allows for more dense drives -- and lower production costs at the same capacity. Advances have allowed Flash manufacturers to change how NAND flash transistors are positioned. Vertically stacked cells -- better known as 3D NAND flash -- adds density and lowers costs. For computer users, the good news continues. In addition to cheaper SSD prices, manufacturers are moving to faster interfaces. The result: drives are not only likely to be cheaper in the years ahead, but faster, too. With reports from Lucas Mearian of Computerworld.